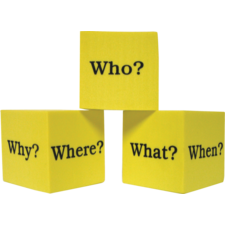 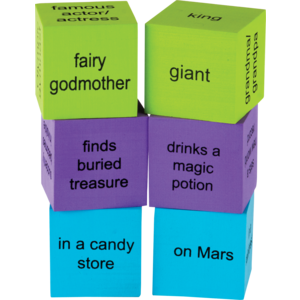 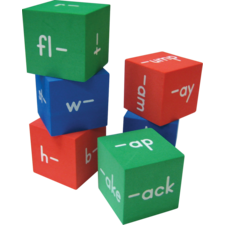 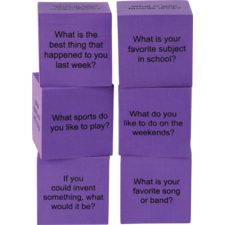 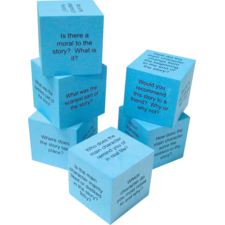 Spark creative thinking by rolling the cubes to start stories or ask thought-provoking questions about one another. 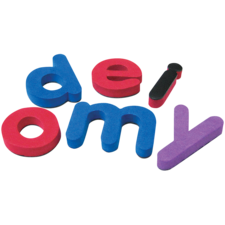 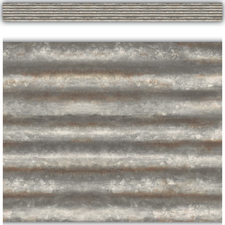 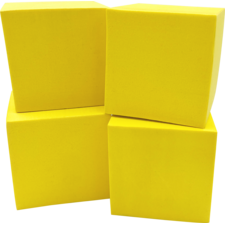 Lightweight foam is soft and quiet. 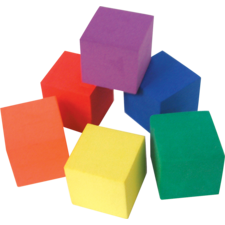 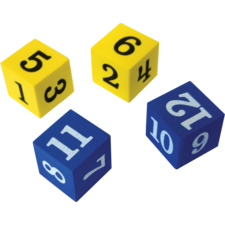 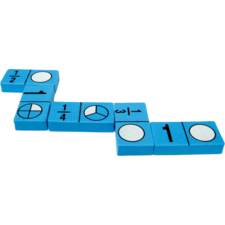 Six 2” foam cubes: 12 characters (green), 12 situations (purple), and 12 settings (blue). 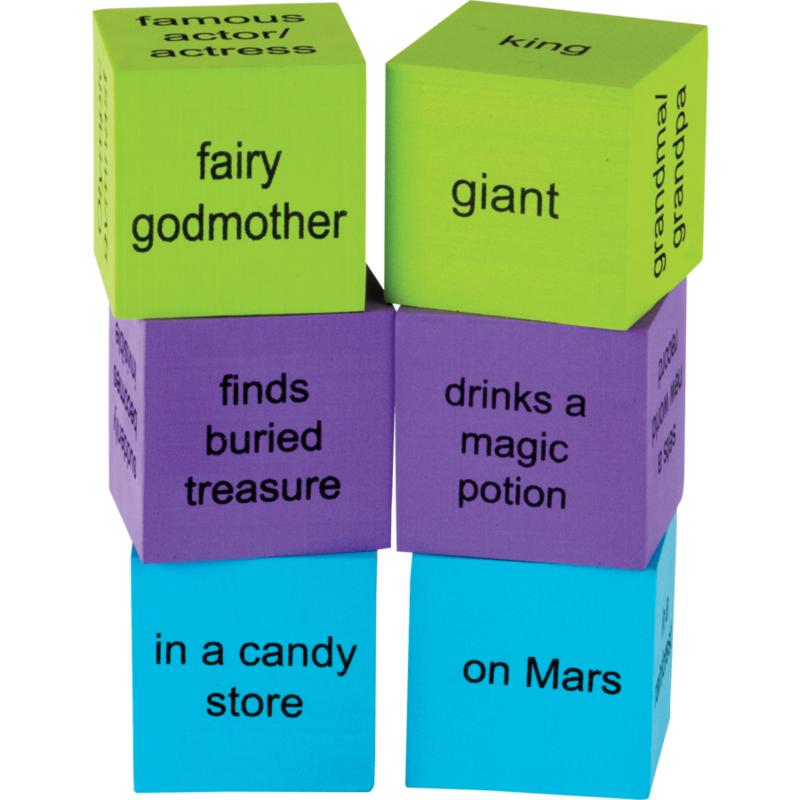 Includes suggested activities. 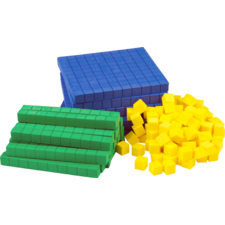 The cubes couldn't be easier to use. 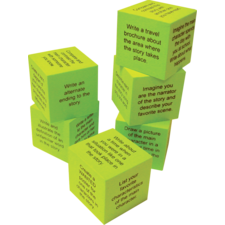 They are creative and really draw creativity out of the students.